Half Moon Bay, CA – The Half Moon Bay Brewing Company – known for its handcrafted beer, sustainable coastal cuisine, and scenic outdoor patio – today announces an exclusive partnership with Mavericks Brewing (mavericksbeer.com) to distribute its award-winning brews across the United States. 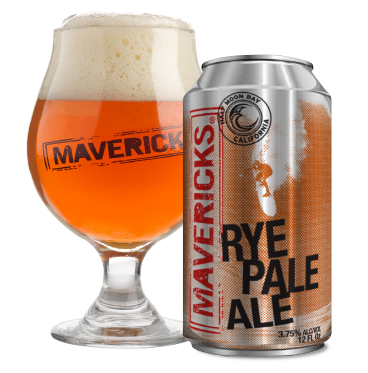 Led by CEO Steve Morgan and launching originally in Northern California, Mavericks Brewing is an independent craft brewery devoted to creating innovative premium American craft beer in cans and is now the official licensee of the Mavericks beer brand originated by the Half Moon Bay Brewing Company. 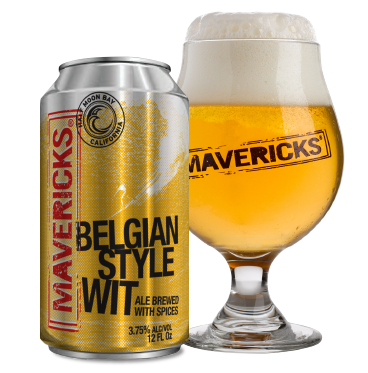 After product development and testing throughout 2013 with assistance from Pete Slosberg of Pete’s Wicked Ale fame, Mavericks Brewing solidified its market position and focused its attention on creating exceptional canned craft beer. 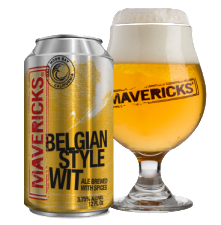 The Mavericks Brewing initial line of three full flavored/low alcohol craft beers will debut this month with distribution by Southern Wine & Spirits, the largest distributor in the United States. The initial three beers in the Mavericks product lineup are all designed to provide the fullest of beer drinking experiences, but with a low alcohol level of just 3.75%. The Belgian Style Wit is an easy drinking and refreshing white beer in the classic Belgian style; the Rye Pale Ale is made with 20% rye malt in addition to traditional barley malts, which imparts an angular mouthfeel and spicy, sour, and pronounced hoppy notes; and the Chocolate Porter is a rich and creamy dark beer that is brewed with a special blend of barley malts and roasted cocoa nibs. 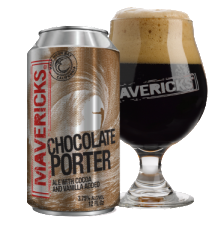 Mavericks Brewing takes its name from the legendary big wave surf spot and invitational surfing contest, Mavericks, which is located directly offshore from the Half Moon Bay Brewing Company and widely considered to be the most exclusive and daring in the world. Head Brewer Shane Aldrich leads the Mavericks Brewing team, with assistance from James Costa, Brewmaster at Half Moon Bay Brewing Company. With a combined total of more than 30 years of hands-on brewing experience at such legendary companies as Bear Republic (Racer 5 IPA), Moylan’s (Hopsickle Imperial IPA, Kilt Lifter), and Lagunitas Brewing Company (Lagunitas IPA), this brewing duo brings their incredible knowledge, history of creating award-winning beers, and deep passion for innovation to Mavericks Brewing. Mavericks Brewing CEO Steve Morgan, who has a J.D. from the University of Tennessee and an M.B.A. from UCLA, has held leadership positions at Napa Smith, Beringer, and Gallo of Sonoma. Morgan’s decades of experience with distributors from all 50 states and close relationships with craft beer industry leaders makes him ideally poised to lead and grow the Mavericks Brewing line of beers into a widely distributed brand. 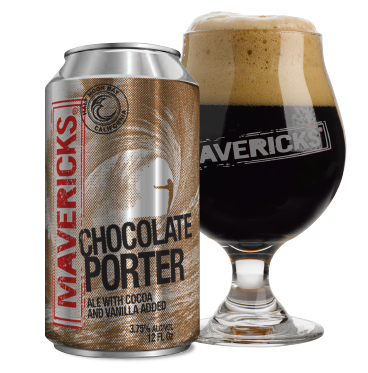 Mavericks Brewing is harnessing this spirit of adventure by presenting its inaugural line of retail beers only in cans. Canned beers are eminently portable, offer superior freshness protection, and are an environmentally friendly option that is easily recyclable. Recently selected by Coastal Living magazine as one of America’s Best Coastal Breweries, by Men’s Fitness as one of America’s Top Ten Craft Breweries and by Travel + Leisure magazine as one of America’s Best Beach Bars, the Half Moon Bay Brewing Company is situated on picturesque Pillar Point Harbor overlooking the Marina in Princeton-by-the Sea.